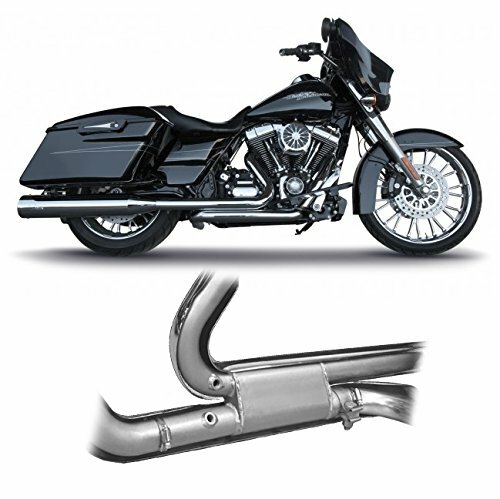 FITS 2009-2016 ALL HARLEY TOURING MODELS The new RCX Tormentor Headers at first glance have the traditional styling of a true dual system, but hidden underneath the smooth and seamless heat shields is a large multi-chambered collector that delivers 2-into-1 like power. The placement and design of this collector allows this header system to create incredible low end torque and horsepower as soon as you hit the throttle. This system also comes with ceramic coating inside the header to help keep heat in. The RCX Tormentor are designed to use the factory mounts making for an easy installation. For the best in both sound and performance add on a set of RCX slip-on mufflers. Proudly made in the U.S.A. This system has both the 12mm narrow band and the 18mm wide band 02 ports only and can be used with an autotune module. If you have any questions about this product by RCXhaust, contact us by completing and submitting the form below. If you are looking for a specif part number, please include it with your message.